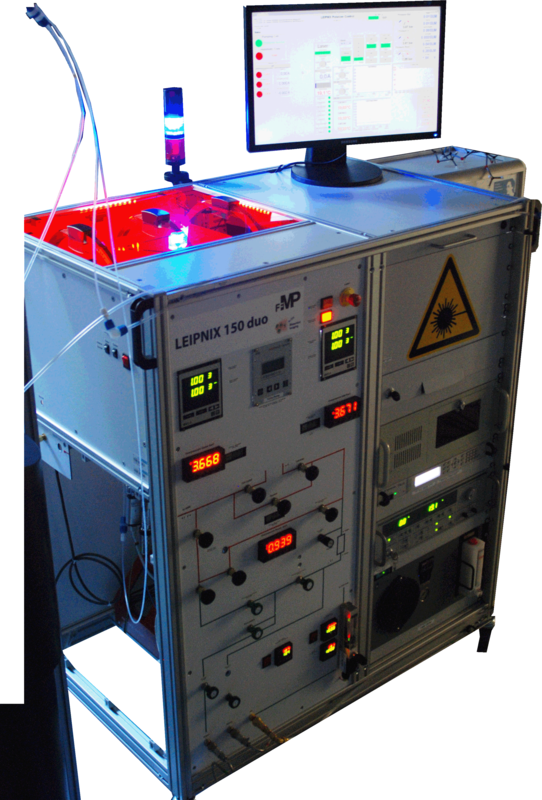 For the flexible production of hyperpolarized xenon we developped a new design for a mobile setup that can be used at different NMR scanners. Spin exchange optical pumping (SEOP) is performed with a new type of line-narrowed laser diodes emitting at high power levels (>100 W) in cw mode. The polarization optics work with a single beam line, achiving a circular polarization degree of 99.99%. This ensures very efficient optical pumping of rubidium vapor. 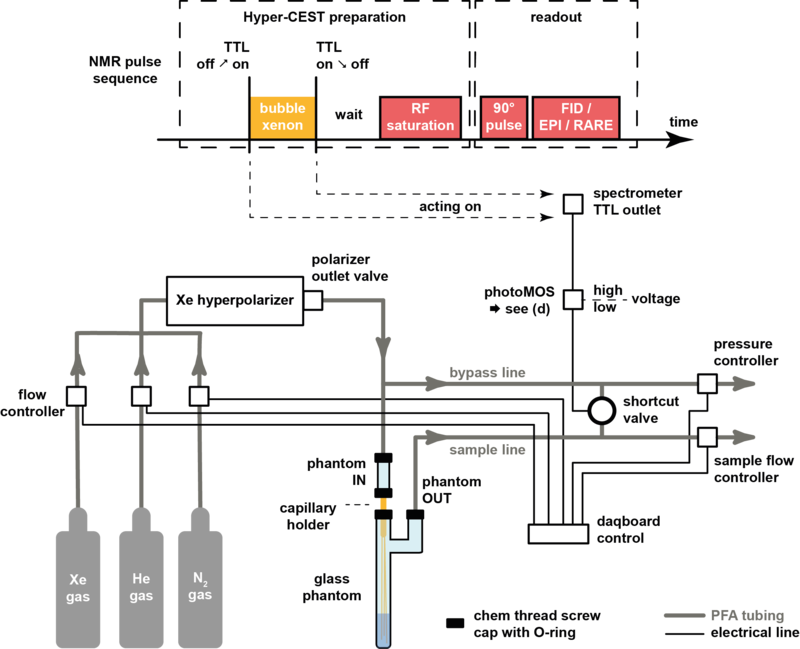 The relative compact design of the LEIPNIX setup (Laser Enabled Increase of Polarization for Nuclei of Imprisoned Xenon) is optimized for continuous flow applications that allow for permanent production of solutions saturated with hyperpolarized xenon for encapsulation in molecular cages. The system allows flexibel composition of the gas mix and is typically operated between 2% and 5% Xe fraction. Ca. 1 liter/hour of 129Xe can be produced with a spin polarization of ~25%. The improved gas delivery system reduces the signal instability to less than 1%.